What are micronutrients, why do you need them…and why is Center for Brain offering them on our website? 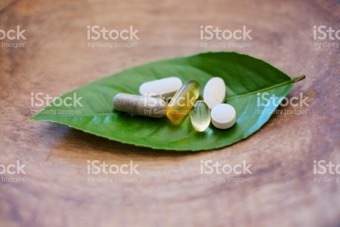 Micronutrients are necessary for the production of enzymes, hormones, proteins and other substances vital for health. However, due to the typical American diet, many people are deficient in micronutrients. Micronutrients are specific vitamins and minerals, required in minuscule amounts. (Examples: copper, iodine, iron, manganese, selenium and zinc). Besides contributing to optimal body functioning, micronutrients also help the brain. Recent scientific research has shown that micronutrients play an important role in fetal brain development and healthy brain aging. They also can have a significant positive impact on brain-based disorders such as ADHD, anxiety and depression. Micronutrient therapy has been gaining attention in the medical community in recent years, including from Harvard psychiatrist Charles Popper, M.D. After putting a 10-year-old boy with bi-polar disorder on a course of one of the micronutrient formulas we now offer, the boy’s severe daily temper tantrums, lasting up to four hours, disappeared in a short period of time. He observed “full stabilization without psychiatric medications” or side effects. Curious to know more after witnessing the boy’s startling improvement, Dr. Popper went on to review the existing scientific research on micronutrient treatments for mood disorders, writing about it in the July 2014 issue of the medical journal Child and Adolescent Psychiatric Clinics of North America. 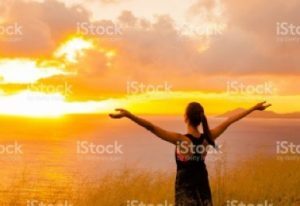 These, and other stories that came our way, convinced us to encourage our clients to add micronutrient supplementation (and a particular amino acid compound) to their neurofeedback training. 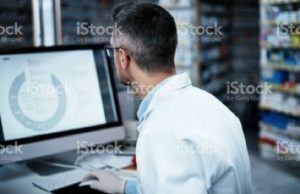 What we discovered is that symptoms in the majority of our clients (adults and children) following this protocol improved more quickly and to a greater extent than symptoms of those doing neurofeedback alone. In fact, many people needed fewer neurofeedback sessions. The results of combining micronutrients with a free form amino acid have been impressive. It’s helped 75% of our clients with ADHD or OCD or who are anxious or depressed. It also works quickly. Most people notice benefits within a month, and some within just two weeks. We are unaware of any other micronutrients formula with similar or better consistent clinical effect. We have a high confidence level in the quality and effectiveness of these products. While micronutrient vitamins are available in pharmacies and health food stores in higher dosages or with more ingredients, they aren’t necessarily the best choice. They may not have been formulated from specific research or haven’t been independently researched the way the products we offer have been. They may also not be optimally absorbable by the body. All of the products we offer focus on being very easily absorbed, low-dose and very micro-available. 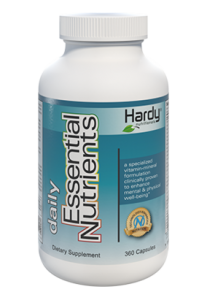 Daily Essential Nutrients (DEN) delivers every essential vitamin and mineral you need to fortify your body against serious mood and anxiety-related disorders such as bipolar disorder, ADHD, autism spectrum disorders, OCD, and anxiety disorders. It’s formulated with a proprietary mineral delivery technology which optimizes mineral absorption and enables the nutrients to efficiently cross the blood-brain barrier. You can find some of the research here. 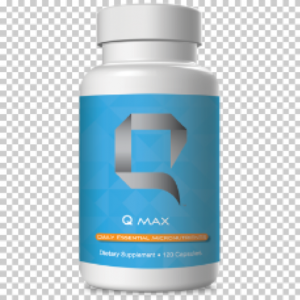 Q Max is a daily micronutrient complex of 36 vitamins, minerals, and amino acids—including the methyl forms of vitamin B12 and folate—that fuels foundational nutritional support to your brain and body at the cellular level for maximum results. It promotes improved cognition and overall brain health and increases energy production. Each capsule contains minerals that are ground into nanoparticles to maximize nutrient absorption. 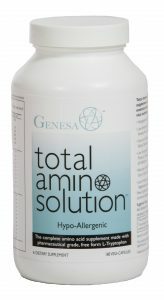 Total Amino Solution is a pharmaceutical grade, hypo-allergenic, high-quality amino acid dietary supplement designed for your body’s total wellness support. This full-spectrum, free form amino acid supplement is more easily absorbed than other ways of consuming amino acids. This complex contains all 10 essential amino acids and 12 additional supportive amino acids, plus L-tryptophan. It is free of gluten, wheat, dairy, soy, corn and other common allergens.